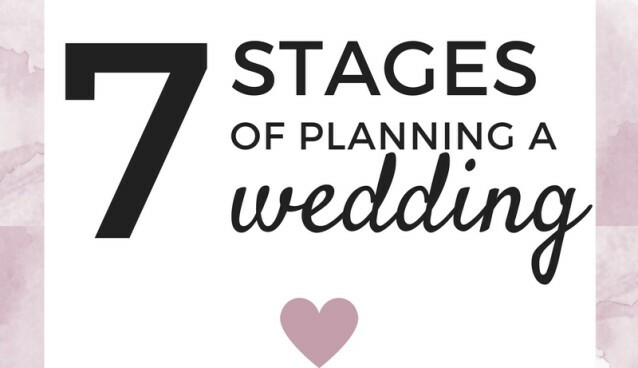 The seven stages of planning your wedding! Nothing will ever beat this feeling. You’ve gained a shiny new best friend on your left hand, you suddenly feel so much more sophisticated having a “fiancé”. You can finally start getting involved in the Pinterest hype. Speaking of which, have you decided on which theme your wedding invitations will be? The world of weddings is a confusing and ever changing world, so it’s time to get clued up. It’s time to spend your lunch hour at work on Google figuring out how to make your grans mason jars look ultra-chic, and your evenings watching endless episodes of “Don’t tell the bride”. The first stage of planning a wedding has to be when you are more than just a little bit excited about the whole thing. Not only are you going to want to tell anyone who will listen that you just got engaged. But you are also going to spend pretty much all your time researching weddings and finding out everything that you want, or don’t want for your big day. Can we skip to the honeymoon part now? Wedding planning can drag on and whilst some parts are really exciting, there are also going to be points when you just want to skip straight ahead to the honeymoon. This is particularly true when you are thinking about guests lists, table plans and which starter to serve to your guests. Planning a wedding isn’t all rainbows, sipping champagne, and trying on pretty dresses. During the less glamorous parts of planning like reading through contracts, deciding whether Amy from Uni or your mum’s friend Hilda takes the last place on the table plan, and which napkins look best with your colour theme where you will want to fast-forward the whole thing. Your deposits are down, your venue is booked and you’ve popped those gorgeous Save the Dates in the post. It’s all starting to sink in! You will be strutting your stuff down that aisle to the man of your dreams in no time. Once the excitement of that initial planning has died down, then you will start to get excited about the day itself. The venue will be booked, the deposits for all the major parts will be paid for and you can start to think about how amazing it is to be a wife. When you were younger you always wanted the grandest entrance possible – a spiral staircase, a beautiful soundtrack, and most importantly the sound of all the oohs and ahhs as you elegantly glide past your guests. Now that moment is round the corner, you’re starting to stress about falling in those ever so delicate bridal heels, and the whole ‘all eyes on you’ thing kind of adds a bit more pressure to your already out of control wedding anxiety. At some point during the run up to the wedding, you are going to realise that you actually have to walk down the aisle and that all eyes are going to be on you. For some brides this can come early on in the planning, whilst for others the idea of this actually happening will only hit them then when the big day is right around the corner. No matter when it is, wedding anxiety is a real thing and the best way to control it is to try your best to stay calm and stay positive too. Suddenly the realisation hits that your wedding is round the corner. It seemed like you had forever to get all of the planning and organising done, but somehow ‘forever’ has gone rather quickly. It’s time to open that bridal party whatsapp group and start delegating. The planning is finished, the plans are all set and everything is ready to go. You will start to tell yourself that it is almost go time and give yourself a bit of a pep talk. You may also find that you think about all those last minute jobs that you need done, as well as who is going to be in charge of what come the big day. It’s official, you can count down to your special day on one hand. Everything seems to be in place, and even if it isn’t it’s too late to worry about it now. It’s time to let your hair down, stuff your face with sausage rolls (forget about that bridal diet), and enjoy every single minute of it. The day has finally arrived, you wake up in the morning and you realise that no matter what, you are going to end the day happily married. There is a good chance you are going to have a million feelings whizzing around your mind. Nerves, excitement and relief that all that planning has finally come together.